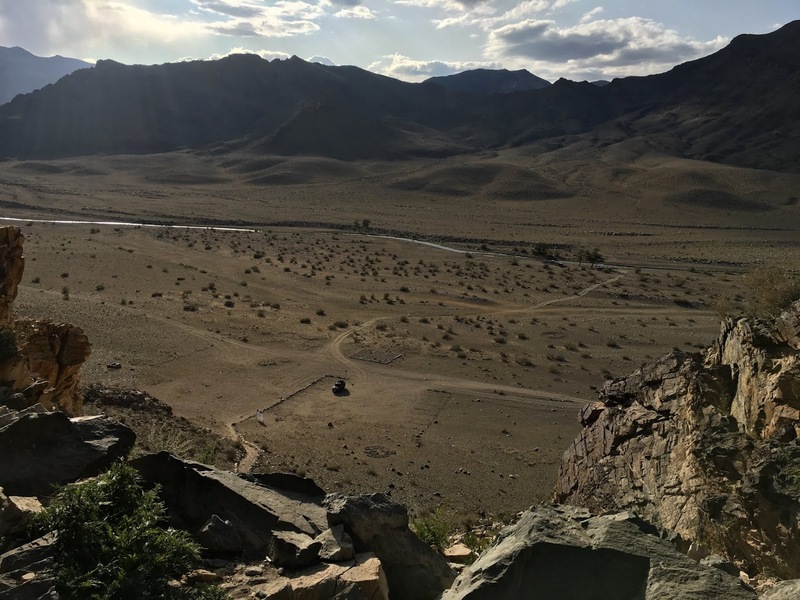 In Mongolia, in Khovd province, after a 50+ kilometer off-road ride, one can walk through shepherds' pastures, past horses, sheep and goats, for a kilometer and a half taking in the beauty of petroglyphs said to be created as far back as 35,000 years ago. There is a small ger camp and museum nearby, but nothing else. Driving up to the rock carvings. Moving in for a close-up. 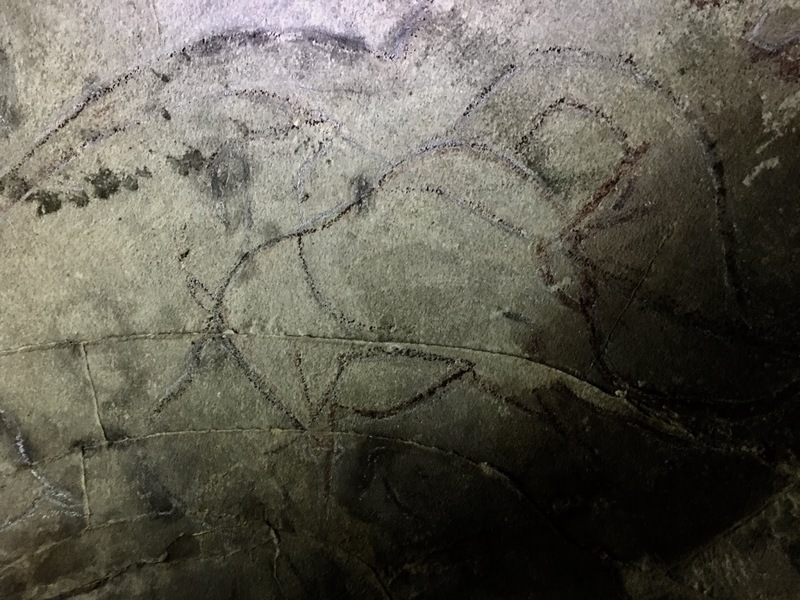 Nearby, rock art originating in the paleolithic period can be found in Khoit Trencher Cave. 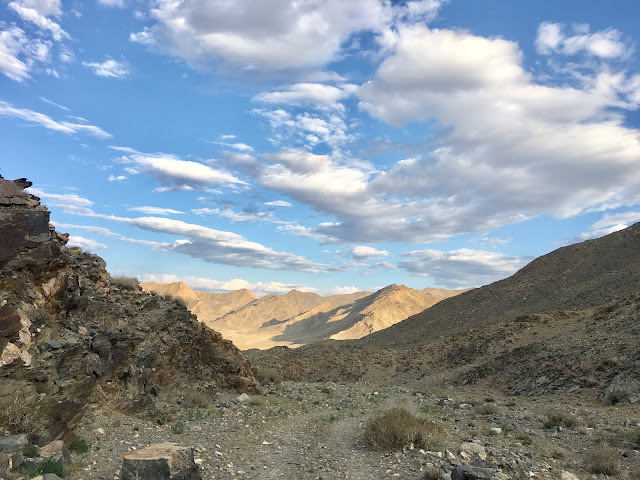 Grab your headlamp and be ready to get dusty and dirty - watching out for bird droppings - and venture inside to view depictions of stags, buffalo, oxen, ibex, lions, Argali sheep, antelopes, camels, elephants, ostriches, and other animals. This site was added to the UNESCO World Heritage Tentative List on August 1, 1996. Looking down at our vehicle from the mouth of the cave. With our guide admiring the rock paintings. It is possible to climb freely throughout the cave. Offerings at the entrance to the cave. In the Altai Mountains have been inhabited for around 12,000 years. Around 4,000 years ago, the Blue Turks, warriors who herded domesticated animals, carved standing stone statues known as the Turkic Stone Men. The stone man pictured here sits alone in the countryside, about 15 minutes driving time over open pasture to nearest Kazakh ger. Indeed the Blue Turks language is the root of Kazakh and Turkish.